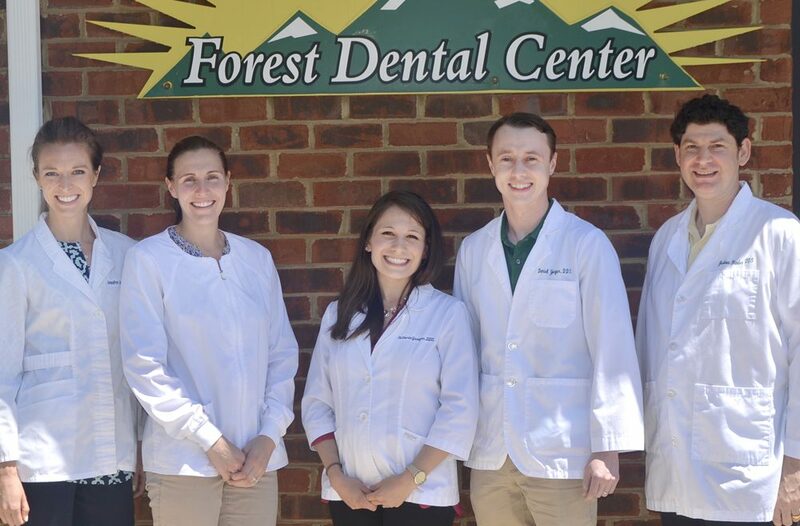 The entire dental staff of Forest Dental Center in Lynchburg is dedicated not only to restoring patient’s teeth and gums to health, but focuses on preventative care and patient education. Our office has a small, friendly atmosphere that puts our patients at ease. You won’t find a crowded waiting room or have trouble scheduling timely appointments. When you walk into our office, you are the most important person. Our team approach assures your involvement in every dental decision, from determining your needs, to establishing a dental care plan. Our commitment is to provide you the highest standard of personalized dental care with a gentle, efficient and professional manner. We trust you will find the atmosphere calming, the staff friendly, and our dental services exceptional. Don’t let that minor dental issue become a major dental health concern. Consult Forest Dental Center of Lynchburg, VA for effective dental care. Our team of dentists offer years of experience and work to meet patients’ needs ensuring exceptional service. You can rely on our experienced, well-qualified dentists to provide high-quality dental care service no matter how complicated your case may be. Bring your child with you to your next visit. They will learn first-hand about the benefits of good oral hygiene from our team of professionals. Let us provide you and your family with outstanding dental care. We treat both adults and children and provide a wide range of services from fillings to extractions, sealants, and much more. We offer routine checkups and cleanings, and we also provide no-shot air abrasion fillings. If necessary, referrals to a pediatric dentist can be made. Children as young as 2 years old visit us with their parents or other family members. 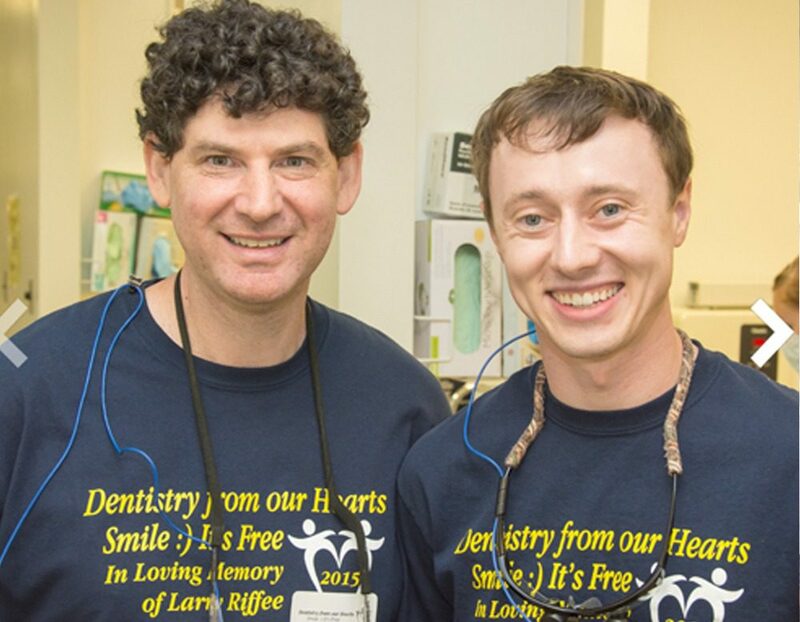 Our staff enjoys working with children and teaching them proper dental care in a fun and engaging way. 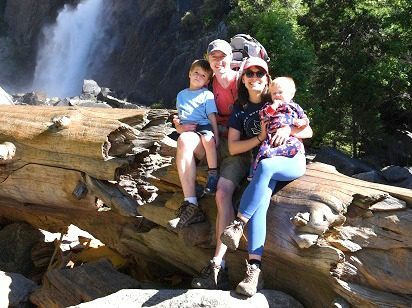 They learn good dental habits that will last a lifetime. Nothing should stop you from having beautiful, white teeth. We will make your teeth whiter than ever with our professional whitening services. Or, ask about our dental services for removing gaps in your smile and reshaping teeth. You will have a confident smile in no time. If your teeth are more than just stained and out of shape, porcelain veneers may be the answer. Porcelain veneers can offer the perfect shape for your tooth. Talk to one of our professionals about this option. You can stay worry-free because we understand your needs and strive to provide the results you’re looking for. We also educate our patients on the best options available. Our goal is for you to have a confident smile that is not only beautiful, but healthy as well. You’re the biggest decision maker! The biggest factor in making the decision for cosmetic dental care is you. Don’t put off that decision any longer. 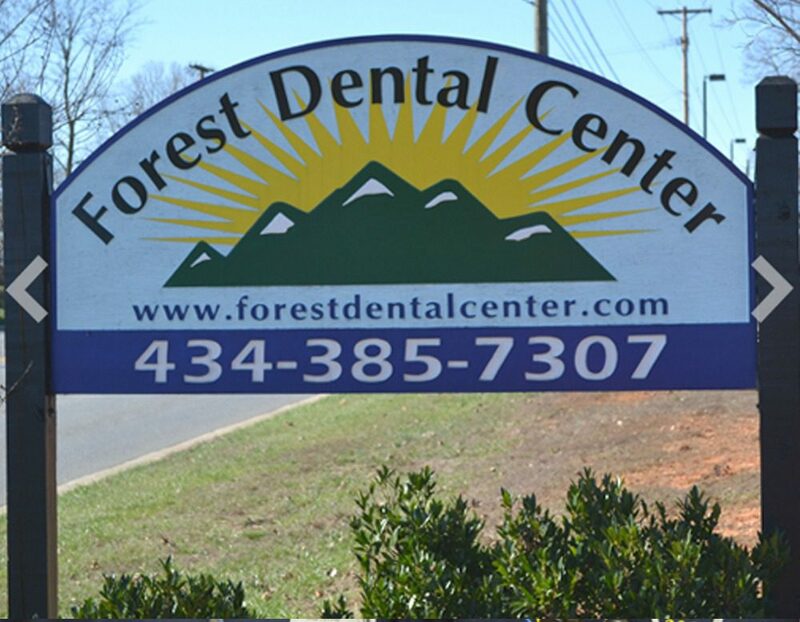 Contact Forest Dental Center today for an appointment. Do you find yourself tired every morning? Do you wake up frequently during the night? If you have been diagnosed with sleep apnea, you may be a candidate for our sleep apnea dental treatment. Sleep apnea is caused by an obstruction in airflow while sleeping, and if left untreated, can cause high blood pressure, headaches, fatigue or other health conditions. Stop suffering and visit us for a potential solution to ensure a more restful sleep. We offer the Moses appliance that is used to keep the tongue away from the back of the mouth so that you can breathe at night. This treatment is only recommended to patients with mild sleep apnea. The professionals at Forest Dental Center are trained in oral appliance therapy. In conjunction with a sleep specialist, they can suggest the best sleep apnea treatment for you. Talk with us about our recommendations. Sleep apnea dental treatment can be a surprisingly effective alternative to other, more complicated treatments. With oral appliances such as mouth guards which are used to position the mouth allowing airways to remain open during sleep, some patients have seen effective results. Impressions matter. A smile creates a lasting impact on every person you meet. You can achieve these positive benefits through bleaching and see the difference. Teeth discoloration can be attributed to certain factors like age, chemicals in food, beverages like coffee, tea, soda, and prolonged exposure to tobacco. Fortunately there are several methods available today that can bring back the beauty of whiter teeth. Bleaching is one of the most affordable, safe, and effective of these methods. Prior to having a treatment, our orthondotic team would fisrt assess if your teeth and gums are healthy for the procedure. An impression of the teeth will be taken and then custom bleach trays will be provided along with the bleaching solution. If you’re missing a tooth or a few teeth, you may not always enjoy smiling. Let the experienced dentists at Forest Dental Center help you. We offer appropriate options for your oral surgery needs whether you have missing teeth, cracked teeth or other dental issues. We specialize in implants, partials and dentures. Extractions are only performed when the tooth cannot be successfully restored. If you are ever in a motorcycle accident, have a sports injury, or are in a bicycle accident, we can help. Count on our highly trained and experienced professional dentists for missing teeth replacement. We will consult with you about implants, dentures or partials based on your personalized needs. Our team is committed to providing you the best service possible. All of our dental procedures can be painless through the use of local anesthesia. Our staff also uses nitrous oxide as an anesthetic as well. Trust the dentists at Forest Dental Center for effective and painless tooth extraction services. Your damaged tooth can be restored to a perfect shape with our wide range of tooth restoration services. We focus on providing the best options in restoration solutions that meet your needs. Schedule an appointment today! You can choose among excellent options provided for your tooth restoration services. We emphasize informative communication with our patients, helping them understand their dental needs and offering the best available options. Have questions? Schedule an appointment today. Our top priority when you walk through the doors at Forest Dental Center, is to help you feel at ease-whether you're visiting us for a routine cleaning or for an extensive procedure. Everyone that works here is friendly, professional, and willing to help in whatever way they can. I am always impressed with how thorough they are and how they are always willing to answer any question I may have! I had a great visit, as usual. Everyone is so friendly, professional, and courteous. From the reminders leading up to the day, to the next appointment made, it’s a very pleasant experience. Thank you! Dr. Binder was fantastic with my 8 year old. He had an extraction and was scared but Dr.Binder was wonderful and patient. Tooth Extraction: It was great! There was a slight pinch feeling then nothing. Dr. Binder and his staff are wonderful. A great practice with professional staff. Never had a bad experience at FDC. Nice office and pleasant atmosphere.